On the Sunday of Life was Porcupine Tree's first studio album, comprising of songs that were originally on two cassette-only releases that came out prior to On the Sunday of Life. These were titled Tarquin's Seaweed Farm (1989) and The Nostalgia Factory (1990). The music on this debut album was done almost entirely by its founder Steven Wilson who had made up the entire Porcupine Tree thing as a fictional band and treated it as some sort of charade. He recorded the contents of this album in his own home on his own equipment and was inspired primarily by the psychedelic bands of the 1970s. Although Wilson was preoccupied with his No Man project at the time, Porcupine Tree began receiving interest from the music press and Wilson began seeing Porcupine Tree as potentially marketable. After signing with Delirium, Wilson was invited to make a double album containing the music from the previous two cassette releases. However, Wilson decided instead to take the best songs from both cassettes and release it as a single album. On the Sunday of Life is a collection of peculiar tunes, chiefly spacey and psychedelic in nature. There are shorter pieces of spoken word fed through elaborate effects (like Ummagumma-era Pink Floyd), odd-sounding songs like Jupiter Island which are reminiscent of Syd Barrett in some ways, and some beautiful atmospheric guitar work on songs like Radioactive Toy and The Nostalgia Factory. The lyrics are very Floydian like (before Waters went off on a tirade). Wilson apparently comes from the Gilmour school of guitar playing as Gilmour's influences are quite pronounced (Barrett also showing as an influence). Many have stated that Porcupine Tree's music of the 1990s is what Pink Floyd should have really been doing. Quite a compliment and I'm in perfect agreement with it. 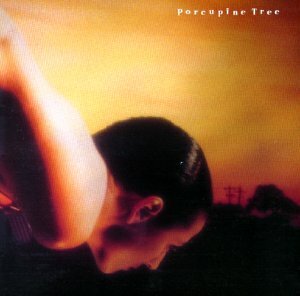 But I wouldn't go as far as saying Porcupine Tree was a clone, because the atmospherics Wilson creates are quite unique and would be the hallmark of the band's sound for many years to come. A superb debut. Maybe a bit too long, maybe needing a little more development, but overall a wonderful listen. Highly recommended to fans of psychedelic and spacey, ethereal music. Easily a four-star effort.